Large round cabochon stones with wire bezel. 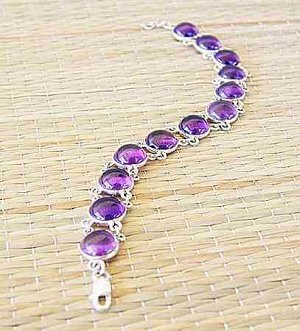 Stunning bracelet that maximizes the stone in a simple wire frame. Makes a statement and really shows off the stones. Stones measure about 5/8" across, handmade in India.